Applications are invited from suitably qualified candidates for admission into the Remedial and National Diploma(ND) part-time programmes offered at the Federal Polytechnic, Idah, Kogi State for the 2017/2018 Academic Session. Federal Polytechnic ND Part-Time Courses and Entry Requirements. 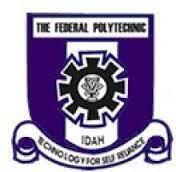 How to Apply Federal Polytechnic Idah ND Part-Time & Remedial Admission.